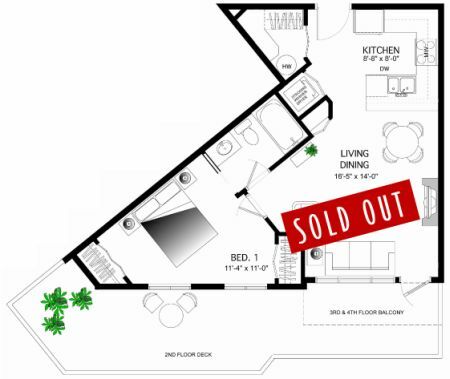 Please note that the images are not exactly as shown until the condo is completed in early April. 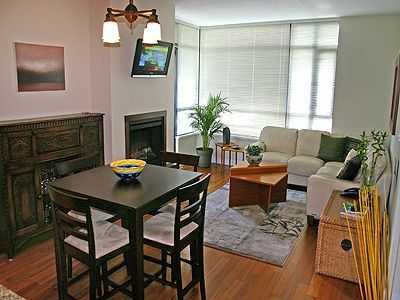 This new, bright 1 bedroom condo is tastefully furnished with all of the conveniences of home including a 32 inch flat screen TV with cable, wireless internet, Serta perfect sleeper queen size bed, in-suite laundry, electric fireplace, full kitchen and a covered balcony with patio furniture. Features include hardwood floors and 9-foot ceilings. There is a childrens play area in the courtyard and a family play park one block away. Royal Roads University , with its full fitness facility and Hatley Castle, is nestled in beautiful gardens and forested walking trails just a short stroll across the road. Golfers will love the proximity to 3 world-class golf courses,it is just minutes by car to Bear Mountain Golf and Country Club, The Royal Colwood Golf Course and Olympic View Golf Club. Nearby is also Esquimalt Lagoon, a favorite place for naturalists and beachcombers; Fort Rodd Hill National Historic Park, where you can visit the 145-year-old Fisgard Lighthouse; and the Juan de Fuca Recreation Centre, Bear Mountain Arena and Public Library. For hikers and cyclists the Galloping Goose Trail is just 2 blocks away, or drive out to East Sooke Regional Park, Goldstream Provincial Park, or numerous trails along the coast. 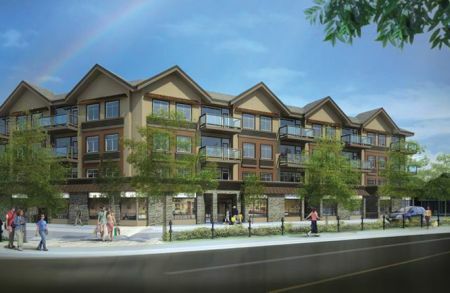 The Copperwood 307 condo is within walking distance of both Colwood Corners and West Shore Town Centre mall. There are also several shops and services conveniently located across the road. The condo building is located on several major bus routes and there is reserved parking for 1 car and secure bicycle storage. The Great Canadian Casino on the Old Island Highway is just 2 minutes away while Victoria's downtown and all of its attractions are a 15-minute drive away. Come and enjoy the wonders and natural beauty of southern Vancouver Island and the city of Victoria. 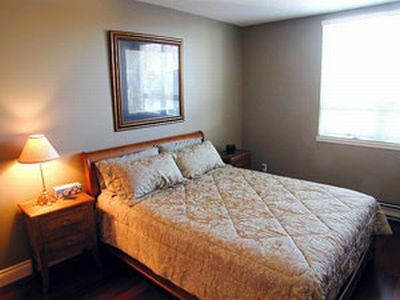 This well appointed and conveniently located condo will become your choice as your home away from home.